In addition to bad science and dreadful logic, evolutionary thinking has produced "social Darwinism". This in turn has given us the evil of eugenics, where humans have taken the evolutionary view of natural selection into their own hands. Some people have decided that other people are unfit to reproduce, or even unfit to continue living. The expression, "Who watches the watchers?" comes to mind because who decides that some people are more "fit" to exist than others? Eugenics is the "science" of making such determinations, which has often been based in racism. Such thinking is contrary to a Christian worldview that seeks to defend the defenseless, help the helpless — and even doing good to enemies. However, we are sometimes considered enemies by academics and those looked upon as the intellectual elite. C. Richard Dawkins and others have decreed that Christian parents teaching creation science to children is child abuse. Neil deGrasse Tyson says that creationists' beliefs are "crazy". Christians and creationists have been equated with terrorists. Bill Nye "scientifically" defended abortion. Having atheists and evolutionists influencing laws and policies like they did in the past could be disastrous to society, since they have a faulty moral compass. (A tremendous irony of inconsistency is that when it comes to ethics, evolutionists stand on the Christian worldview.) Unfortunately, eugenics is gaining ground again. What if it was the other way around? Suppose people wised up and realized that they've saddled the wrong horse and evolution is flat-out wrong? 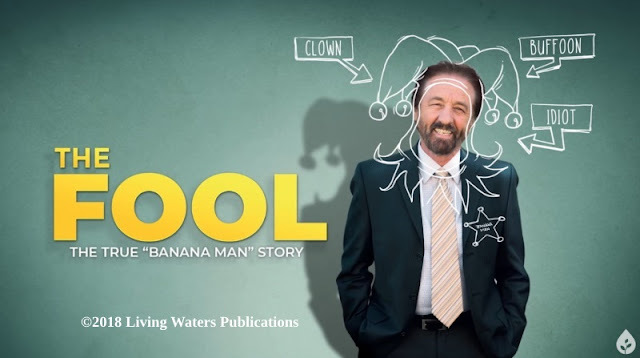 Maybe evolutionists would be forcibly sterilized to stop the bad-thinking genes; atheists and evolutionists are unfit to reproduce, and even to continue to exist. Yes, that's absurd, especially since Christians who believe that people were recently created in God's image should have rights and dignity. In Carrie Buck’s failed 1927 Constitutional challenge, the Court upheld a Virginian law that applied Darwinian eugenics (programs selectively propagating the “fitter,” “well born,” or “good races”) to promote state welfare. In its aftermath, eugenics laws in 31 other states were upheld. 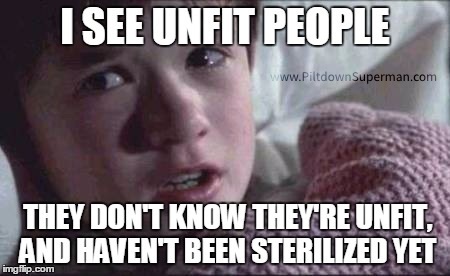 Emboldened by the consensus of scientists, evolutionary research, and now the Supreme Court decision, forced sterilizations of “unfit” citizens increased dramatically throughout the 1930s. Remarkably, sterilizations in some states actually increased after World War II. Read the rest of this excellent article by clicking on "The Eugenics Disaster".